The Bharatpur Forest Lodge is located within the precincts of the Bharatpur Bird Sanctuary. The stay in the resort will enable you to get in close proximity with the beasts of the jungle. Bharatpur Forest Lodge has 18 double rooms out of which 10 are air-conditioned and 8 are without air-conditioning. The rooms are tastefully done and features basic room amenities. Bharatpur Forest Lodge has a multi-cuisine restaurant serving scrumptious preparations of Indian and Continental cuisines. While staying at Forest Lodge, Bharatpur you can explore the Bharatpur Bird Sanctuary, spot the colorful birds and visit the temple of Shiva. You can also go on sightseeing tour of the town of Bharatpur. 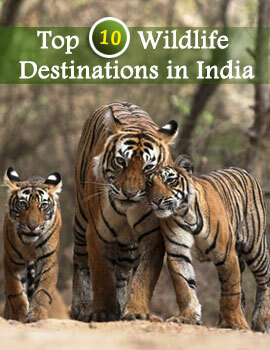 The nearest airport to Bharatpur Forest Lodge is at a distance of 54 km in Agra. There is a railway station at Bharatpur. Bharatpur in well-connected with road network with Mathura 39 km, Agra 55 km, Jaipur 176 km and Delhi 184 km.